If you truly love horseracing you need to watch this race. The 2017 G1 Royal Ascot Gold Cup: the flagship race of the world’s flagship racing festival. Run yesterday in front of a record crowd of nearly 70,000 people, the contest climaxed in a nail-biting head-bobbing finish between the two favourites, having pulled six lengths clear of the rest of the field. Before you click on the link (click here) to watch the race, in order to appreciate it fully you will want to read below for a little more context. The overpowering favourite in the weeks building up to the race was the regally named Order of St George. A son of Galileo, the defending Gold Cup champion and stable elect of the juggernaut Coolmore operation, Order of St George has previously won two Group 1’s (by three and eleven lengths respectively). If that wasn’t enough to prove he was one of the best classic horses in Europe, he closed off his 2016 campaign with a third place finish in Europe’s end of season centrepiece: the G1 Prix de l’Arc de Triomphe. In the other corner steadily gathering support was the “people’s champ” Big Orange: the son of South African-based Duke of Marmalade who has over the last three racing seasons become the most popular horse in training in Britain. 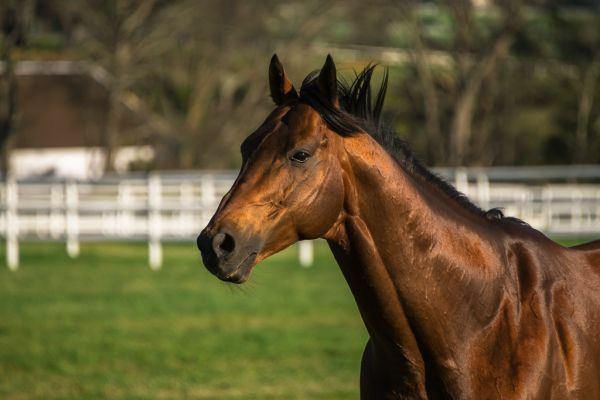 A winner of seven stakes races including four Group 2 events, Big Orange has been long overdue a Group 1, however it is more his style of running and his relentless courage, tenacity and will to win which has endeared him to the racing public. His racing strategy is completely transparent and quite simple: get to the front of the race as early as possible and don’t let anyone past. A strategy way more easily said than done. However, what sets him apart from other frontrunners, is that he appears to have a burning desire to win, and almost always has more left in the tank than appears: more than once having been headed before coming back to win. Doyle realised after a furlong or two that Quest for More was interfering with Big Orange’s momentum, and that he needed to get back out in front, so he pressed the big horse forward. Once again in the lead, Big Orange pricked his ears and appeared happier to be where he likes to be, steadily building up the tempo and tightening the screws on the opposition. Coming around the final turn into the straight it was evident to see the majority of the horses close on the lead were now struggling to stay with the pace, their jockeys throwing their reins at the horses, but to little response. However, it was also evident that Order of St George was still travelling very easily and was passing horses progressively quickly on his way towards the front. He obviously had no intention of relinquishing his crown today. With a furlong to go Big Orange had disposed of the rest of the opposition, and it was clear the only horse to potentially make a race of it was Order of St George, who had less than two lengths to find and was closing quickly. With 100m to Order of St George was at the haunches of Big Orange. Fifty metres to go, he had almost drawn level with the leader, and it appeared as though he was going to run on by. However, as shown in so many races before: it is one challenge to catch Big Orange, it is quite another entirely to get passed him. And indeed, as soon as Order of St George came alongside Big Orange, the brave frontrunner showed his heart again, somehow finding the strength and will to accelerate again. The last few strides of the race were one for one. The entire crowd held its breath as the finish line drew closer: the two rivals locked in battle. However, at no point did Big Orange let the esteemed defending champion get his head in front. It is hard to know where horses with the indelible courage and talent like Big Orange come from. They are indeed rare and precious. One possible source of Big Orange’s bravery may come from his sire Duke of Marmalade, who was once described by his trainer Aiden O’Brien: “if horses were made of concrete or stone, this fellow is something harder.” Duke of Marmalade won five consecutive Group 1’s in 2008 to earn him the title of European Champion Older Horse. Duke of Marmalade has now sired five European Group One winners and 33 Stakes Winners including Cartier Award winner Simple Verse. He now stands at Drakenstein Stud near Cape Town, South Africa, with his oldest progeny there being weanlings. It is unlikely the Duke’s powerful son, Big Orange, is quite done yet and will likely make his next start at the Glorious Goodwood festival. One thing is for sure, Big Orange’s enormous fan base could only have grown after yesterday’s performance.